Put all ingredients in a blender and blend until smooth. Garnish with mint and sliced strawberry. 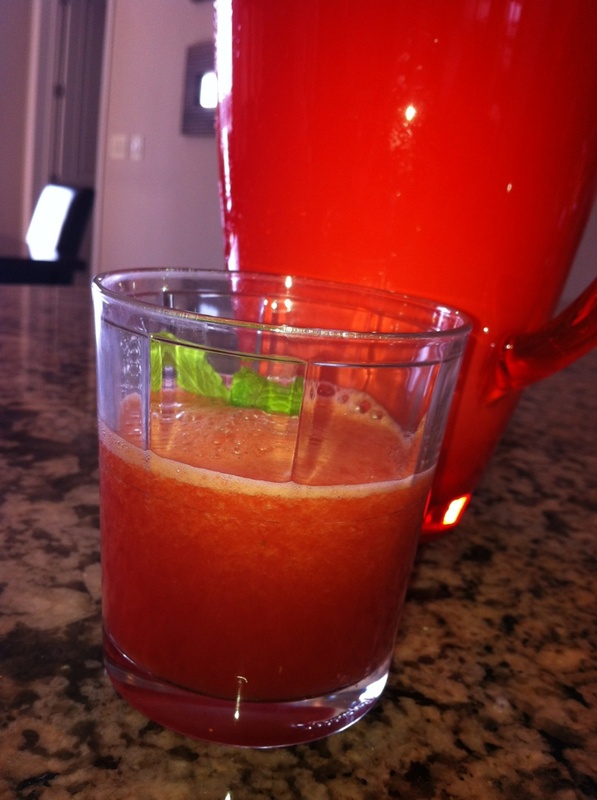 This entry was posted on May 8, 2015 by thrivecoach12 in Drink Recipes and tagged Watermelon Strawberry Juice.